PASADENA, Calif. -- The intensity of the jets of water ice and organic particles that shoot out from Saturn's moon Enceladus depends on the moon's proximity to the ringed planet, according to data obtained by NASA's Cassini spacecraft. The finding adds to evidence that a liquid water reservoir or ocean lurks under the icy surface of the moon. This is the first clear observation the bright plume emanating from Enceladus' south pole varies predictably. The findings are detailed in a scientific paper in this week's edition of Nature. 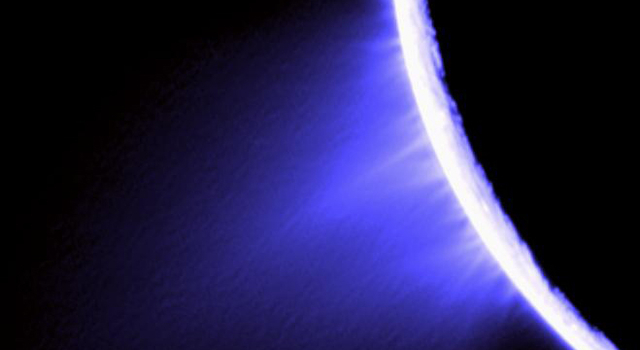 "The jets of Enceladus apparently work like adjustable garden hose nozzles," said Matt Hedman, the paper's lead author and a Cassini team scientist based at Cornell University in Ithaca, N.Y. "The nozzles are almost closed when Enceladus is closer to Saturn and are most open when the moon is farthest away. We think this has to do with how Saturn squeezes and releases the moon with its gravity." Cassini, which has been orbiting Saturn since 2004, discovered the jets that form the plume in 2005. The water ice and organic particles spray out from several narrow fissures nicknamed "tiger stripes." 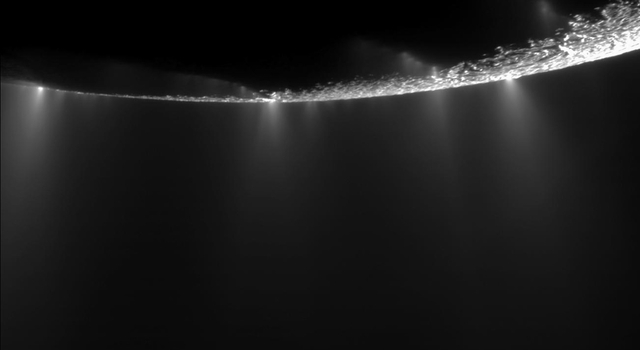 "The way the jets react so responsively to changing stresses on Enceladus suggests they have their origins in a large body of liquid water," said Christophe Sotin, a co-author and Cassini team member at NASA's Jet Propulsion Laboratory in Pasadena, Calif. "Liquid water was key to the development of life on Earth, so these discoveries whet the appetite to know whether life exists everywhere water is present." For years scientists hypothesized the intensity of the jets likely varied over time, but no one had been able to show they changed in a recognizable pattern. 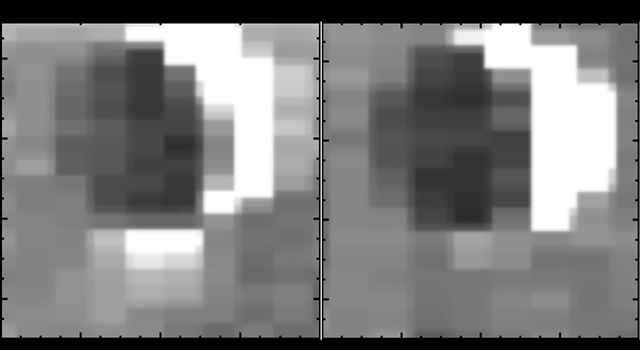 Hedman and colleagues were able to see the changes by examining infrared data of the plume as a whole, obtained by Cassini's visual and infrared mapping spectrometer (VIMS), and looking at data gathered over a long period of time. The VIMS instrument, which enables the analysis of a wide range of data including the hydrocarbon composition of the surface of another Saturnian moon, Titan, and the seismological signs of Saturn's vibrations in its rings, collected more than 200 images of the Enceladus plume from 2005 to 2012. Adding the brightness data to previous models of how Saturn squeezes Enceladus, the scientists deduced the stronger gravitational squeeze near the planet reduces the opening of the tiger stripes and the amount of material spraying out. They think the relaxing of Saturn's gravity farther away from planet allows the tiger stripes to be more open and for the spray to escape in larger quantities. 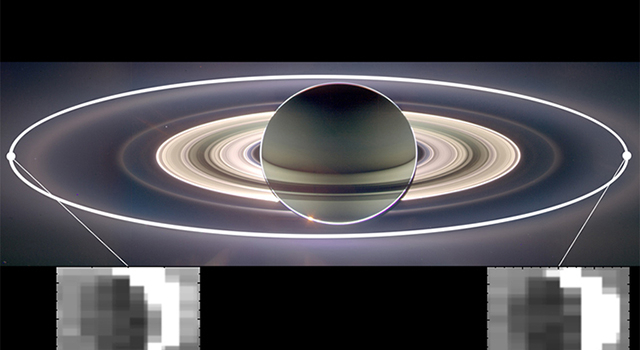 "Cassini's time at Saturn has shown us how active and kaleidoscopic this planet, its rings and its moons are," said Linda Spilker, Cassini project scientist at JPL. 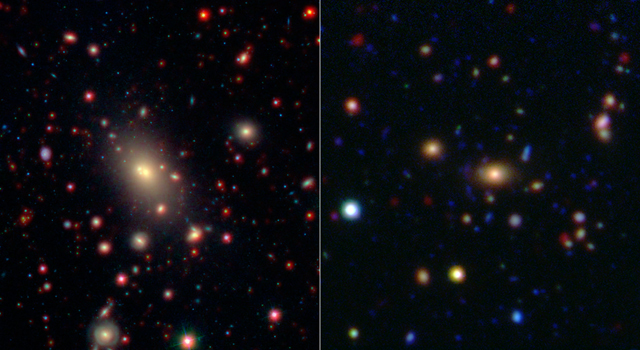 "We've come a long way from the placid-looking Saturn that Galileo first spied through his telescope. We hope to learn more about the forces at work here as a microcosm for how our solar system formed."